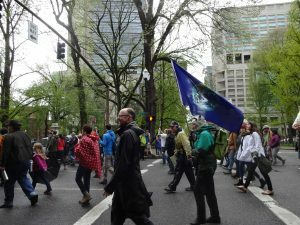 Last Saturday, I attended the March for Science in Portland, Oregon – with lots of company! Scientists and supporters on 4th Ave. I am not a scientist, but I’m amazed and grateful for what they do. 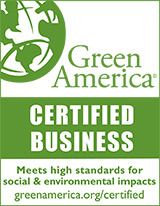 A wildly abbreviated list of sciences includes medical research, biology, chemistry, physics, geology, materials science and yes – climate science. Those vaccinations against diseases that you received as a child? There was a huge scientific effort behind that. Those digital devices you love so much? Computer scientists work day and night to make those chips ever tinier and more powerful. And climate science – while a newer branch of science – focuses on the facts around things like global temperatures, how much water vapor is in the air, and how much oceans and seas are rising. Because those things are affecting all of us – right now. To me, the wonderful thing about sciences is that they are all about facts. Scientists, by definition, WANT their facts to be checked, they WANT their theories to be tested. If their theories don’t stand up to scrutiny, other scientists will let them know post-haste. There’s a rigor and an integrity to the scientific method that keeps us safe from – ahem – “alternative facts.” And allows scientists to move from lab-tested theories to real-world applications that help people live better lives. I attended the March for Science both to show my support and to see who was there. Every kind of science was represented: from marine biologists to crop scientists, medical researchers to conservationists. In a time when public life seems scarily polarized, it was encouraging to see so many people turn out to affirm their commitment to the sciences. No one asked, “What kind of scientist are you?” Science is a unifier, not a divider. As I marched, I noticed a woman in a white lab coat, walking with her 2 kids. Her simple, hand-made sign said, “This is what a “mad” scientist looks like.” I had to laugh because that said it all. She’s a mom with a job in the sciences and it must be “discouraging” – to say the least – to live in a time when basic facts are deleted from government web sites, and rigorous research is dismissed as “belief” or opinion. 2+2=4. Whether you believe or not. 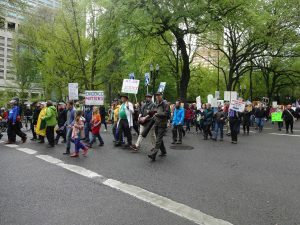 I suspect that most of the marchers would have preferred to be in the lab or in the field, rather than marching down the drizzly streets of Portland that day. But I am so glad they came out to show their scientific spirit! Once again, the “big” one will be in Washington, D.C. But I’ll be strutting my stuff in the “sister march” here in Portland. Click the link and plug in your zip code to find a sister march near you. I’ll be looking for your pictures on Facebook, telling me all about it!